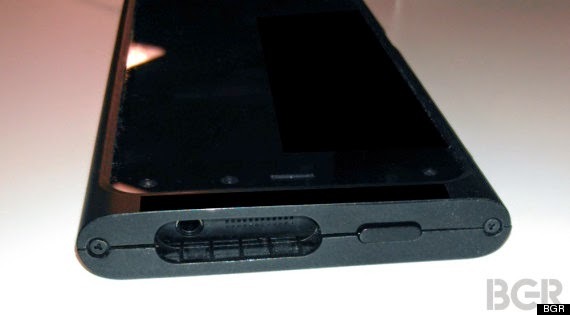 The technology blog BGR gave the public what appears to be the first leaked images of the ever illusive phone that Amazon is supposedly making. If the photos are legit, this much-anticipated gadget will sport not one, not two, but six cameras that may be used to produce 3-D images. The online retail giant, which has been getting its fingers into all sorts of hardware lately, hasn't announced the speculated Android device yet. But there have been rumors circulating about the phone for quite some time -- much of it credible. The Wall Street Journal reported last week that the phone would begin shipping by the end of September and that it will have a screen capable of displaying 3-D images without glasses. 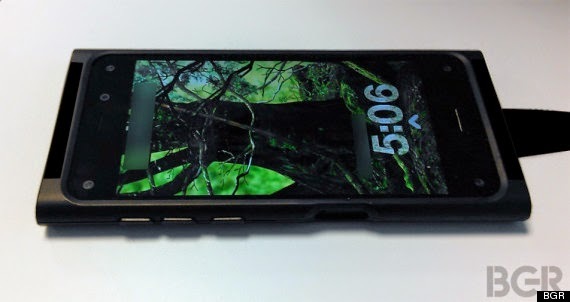 To that end, the phone, shown here in a hard case (presumably to hide the design), prominently features six cameras -- one rear-facing, one front-facing "selfie" camera and four others on the front of the phone -- that seem to support the 3-D rumors. According to BGR, those four extraneous cameras will serve to track the user's face and eyes to make adjustments to the screen in real time, so that the 4.7-inch screen can give its owner a 3-D image without those dweeby movie-theater glasses. For those concerned by recent reports about Apple raising the price of the iPhone 6 by $100, BGR reports that Amazon's phone will likely be lower-cost.